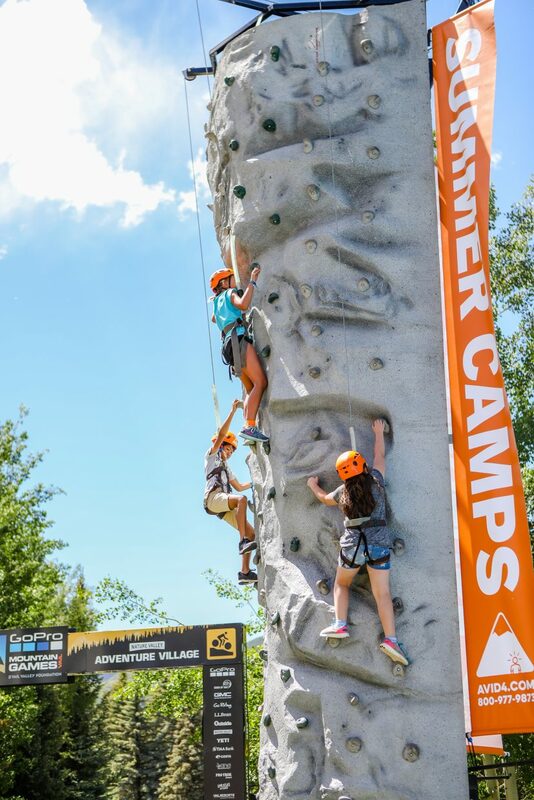 Kids climb in Adventure Village during the GoPro Mountain Games on Friday, June 8, in Vail. 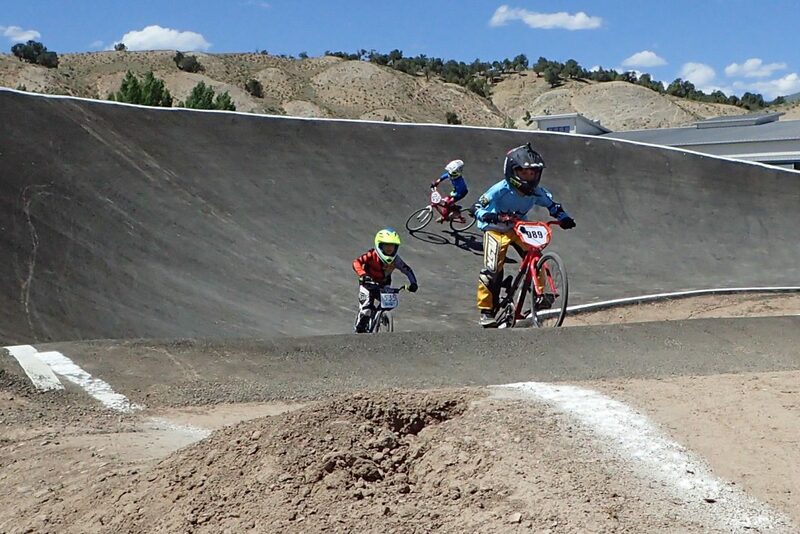 Kids participate in the BMX events during the GoPro Mountain Games on Friday, June 8, in Eagle. 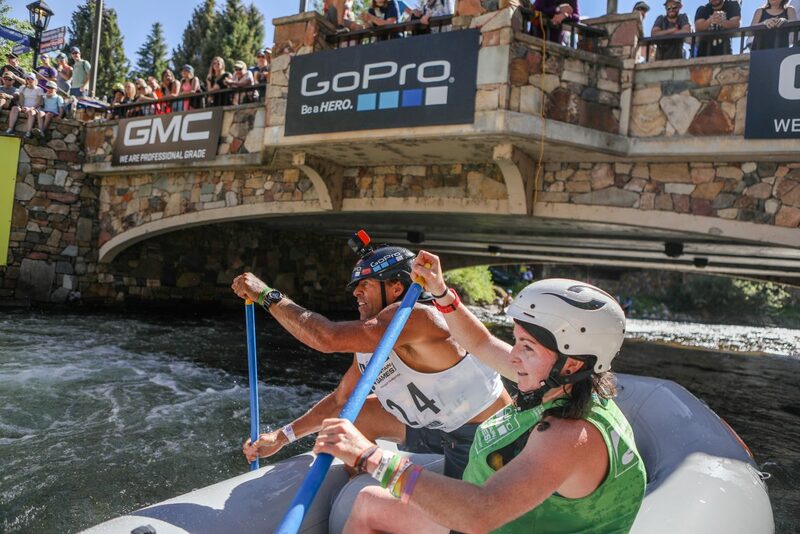 Rafters make their way around the final gate during the Raft Cross during the GoPro Mountain Games on Friday, June 8, in Vail. 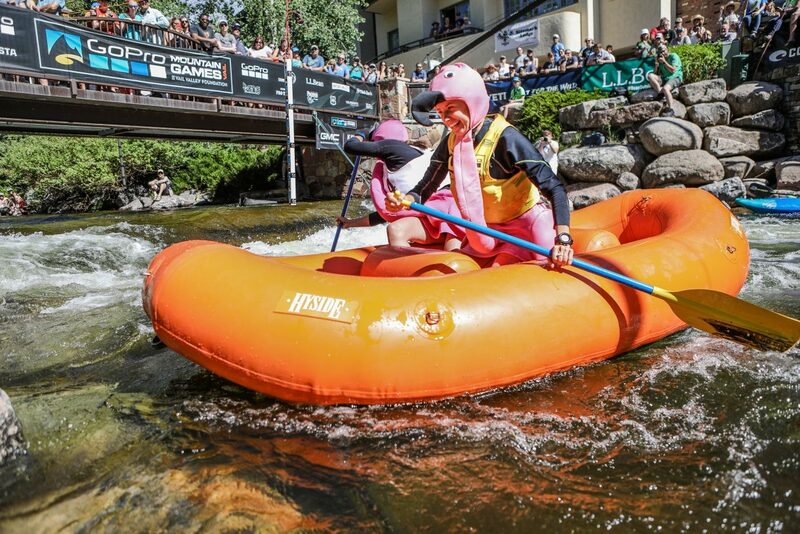 Costumes weren't required, nor did they help, but sure added to crowd-pleasing. 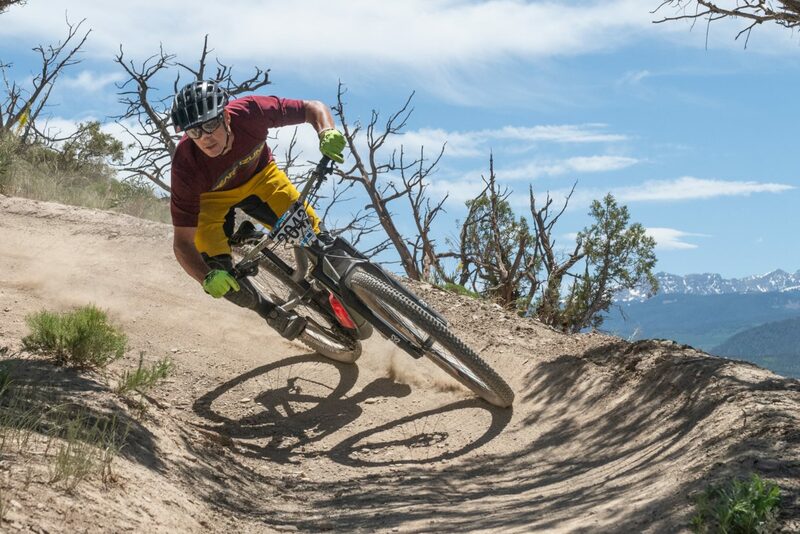 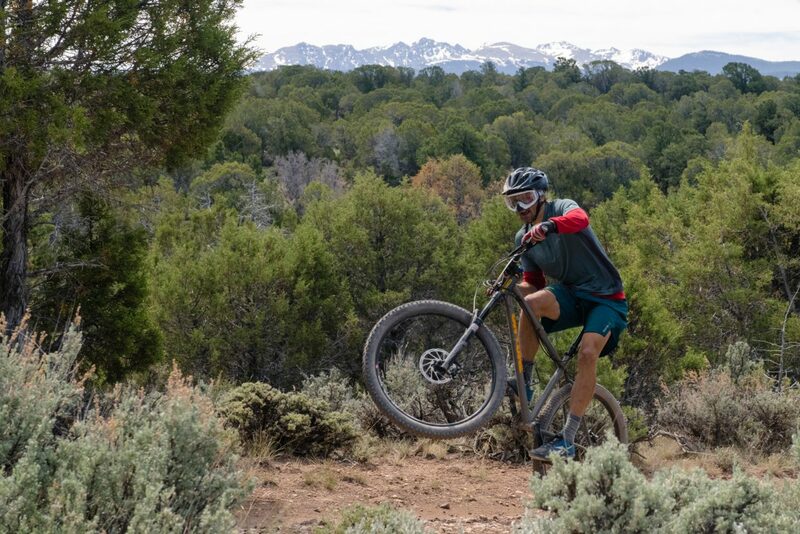 Niles Ackerman gets playful on the trail during the GoPro Mountain Games Enduro on Friday, June 8, in Eagle. 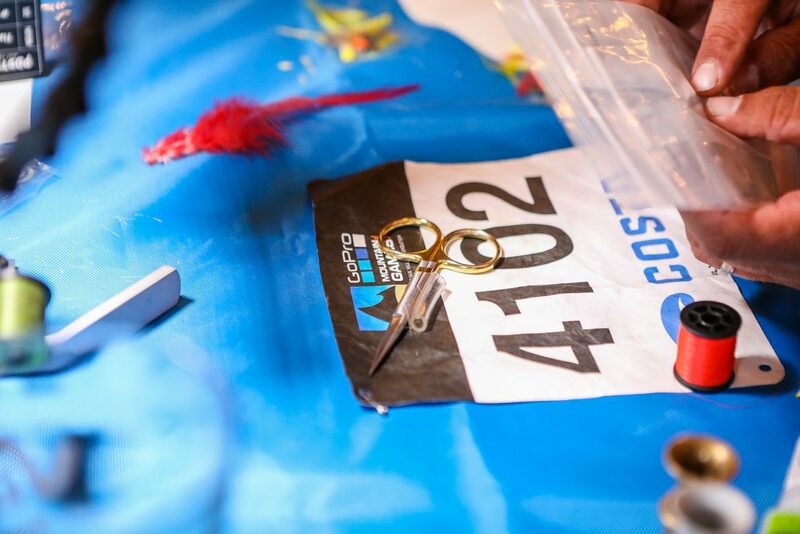 The race consisted of 25 miles. 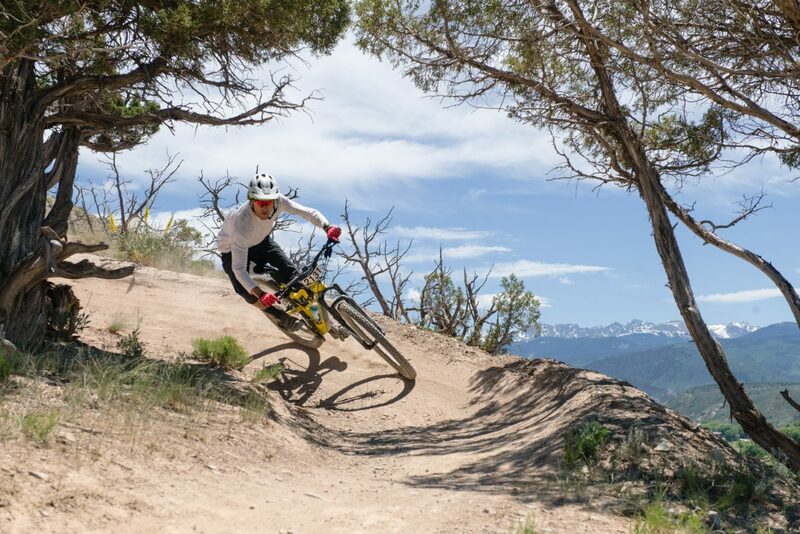 Nate Hills charges through a flat section of the Enduro mountain bike race in Eagle on Friday. 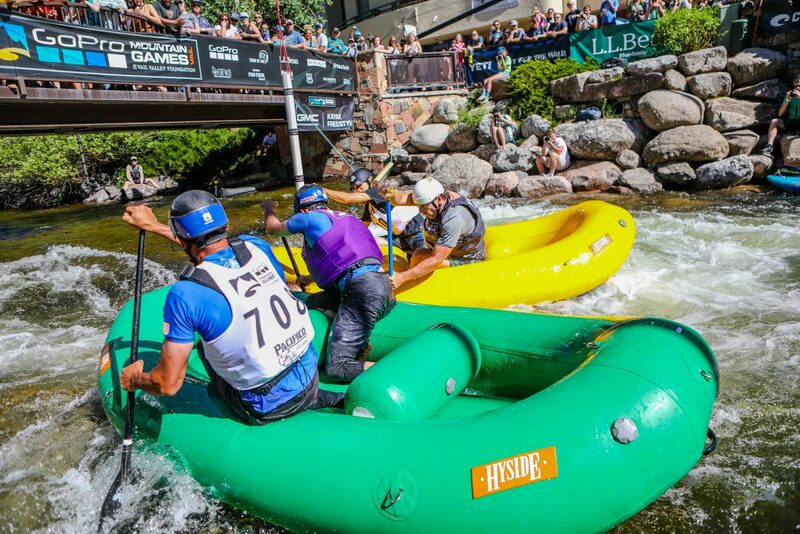 Hills clenched third place in the Men's pro division. 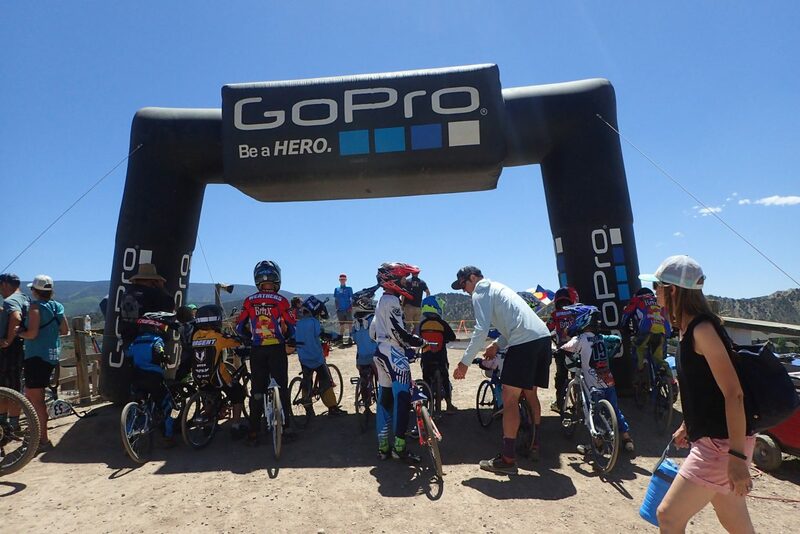 Brian Lopes, of California, flys into the home stretch of the 2018 GoPro Mountain Games Enduro Bike Race. 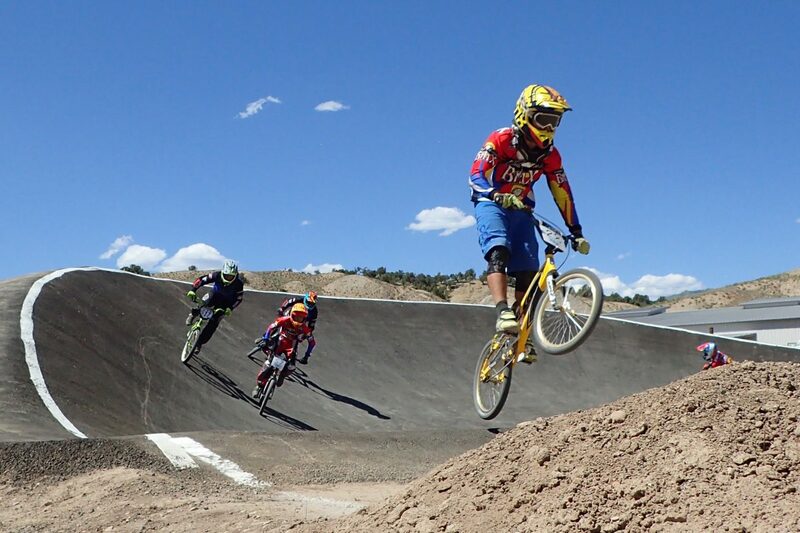 Lopes placed second in the Mens Pro division. 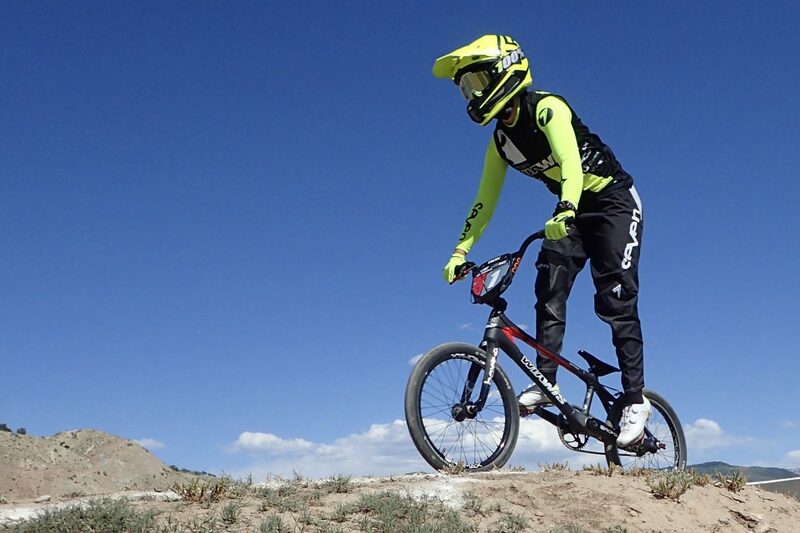 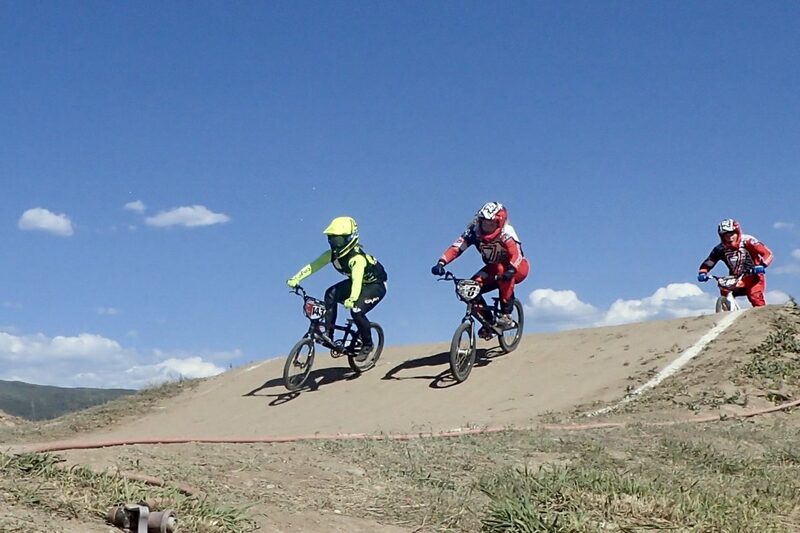 The BMX bike events were new in Eagle for the GoPro Mountain Games on Friday, June 8, in Eagle. 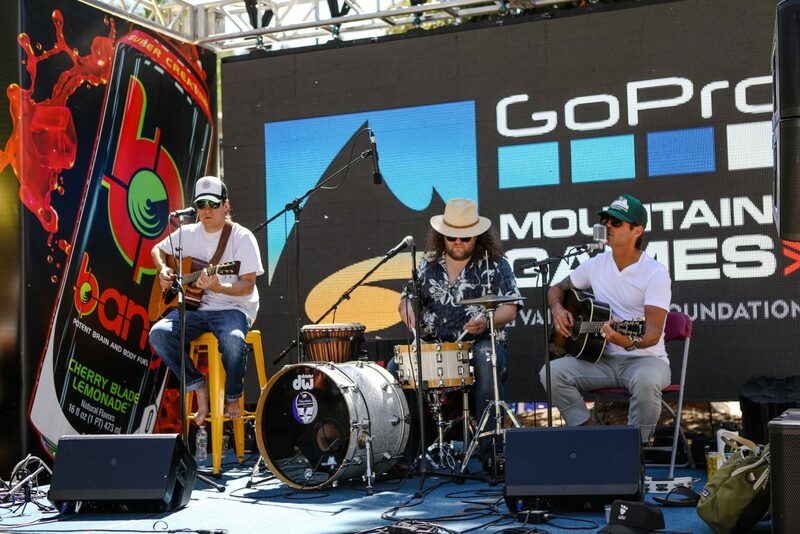 Scotty Stoughton and Friends play at Checkpoint Charlies during the GoPro Mountain Games on Friday, June 8, in Vail. 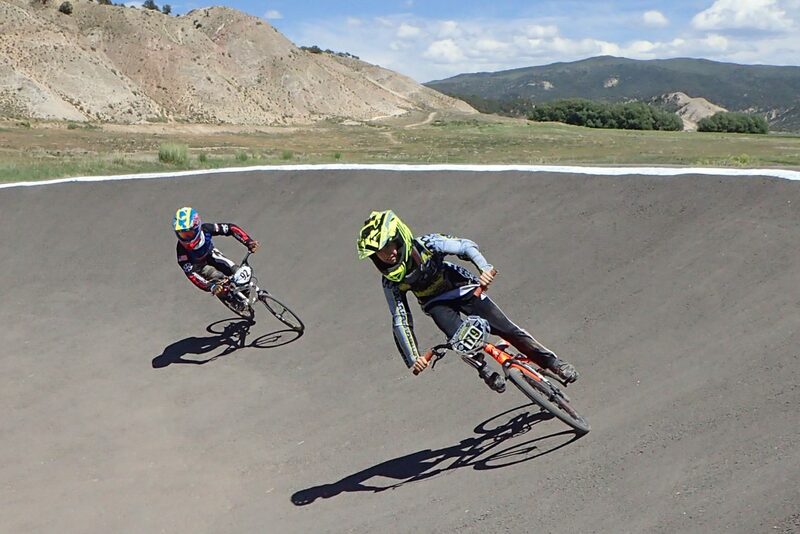 Alexander Mcguinnis flys through the final stage of the GoPro Mountain Games Enduro race on Friday, June 8, in Eagle. 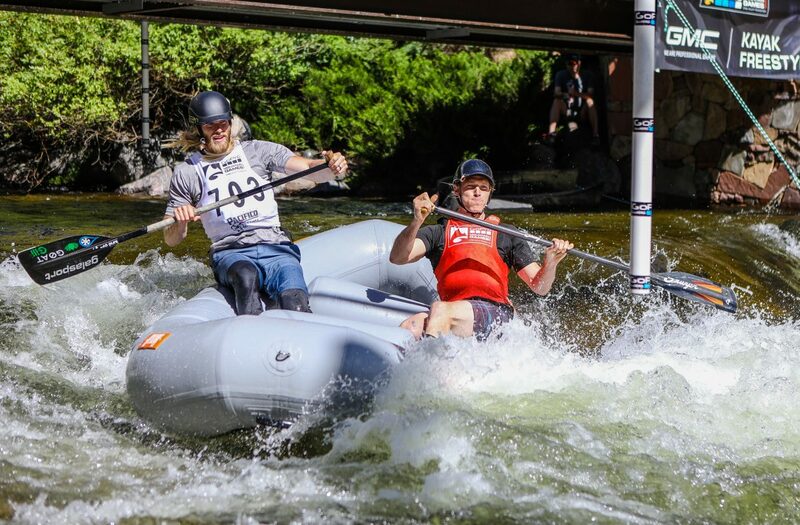 Mcguinnis finished in first place with a final combined time of 22:44.07. 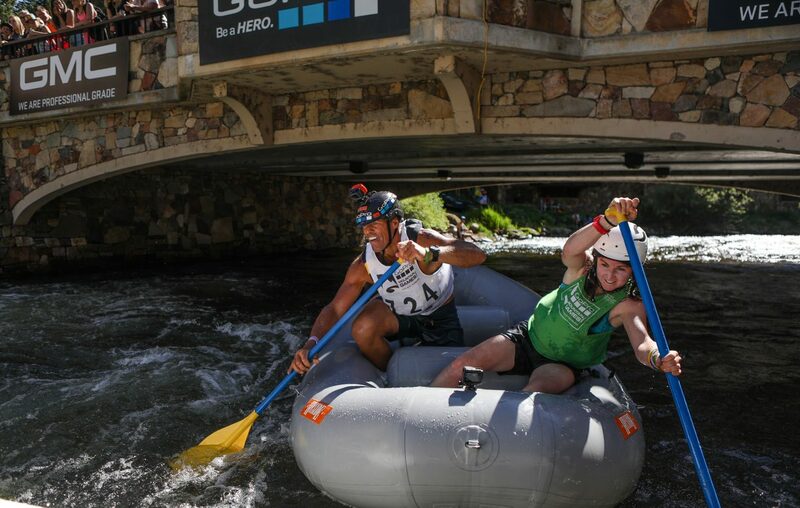 Jeremiah Williams and Rob Prechtl take the heat in the Raft Cross on Friday, June 8, in Vail. 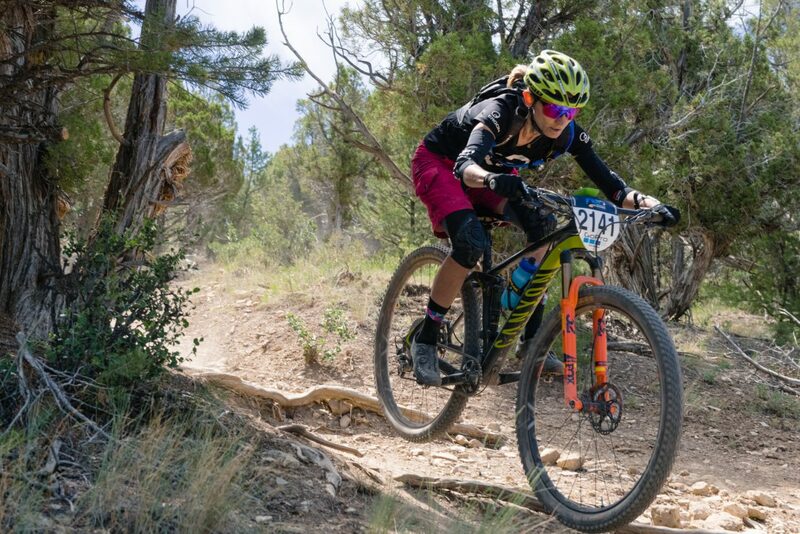 Local Karen Jarchow, of Eagle, races in the GoPro Mountain Games Enduro on Friday, June 8, in Eagle. 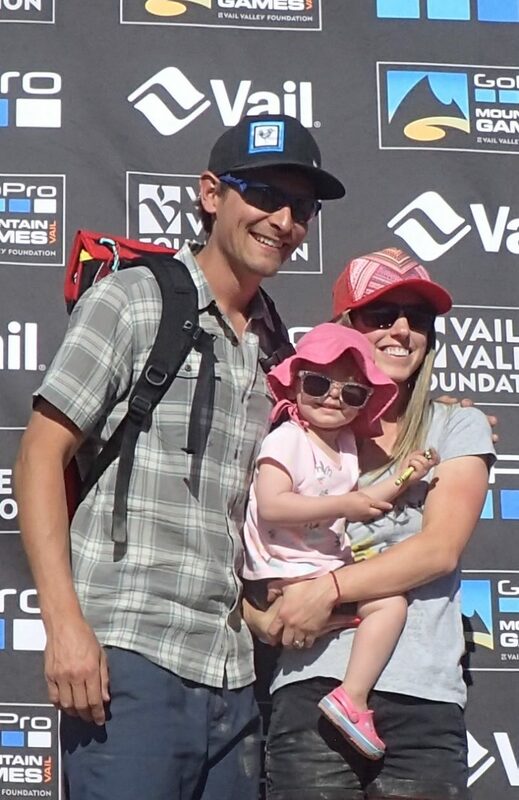 Jarchow placed 4th in the womans pro. 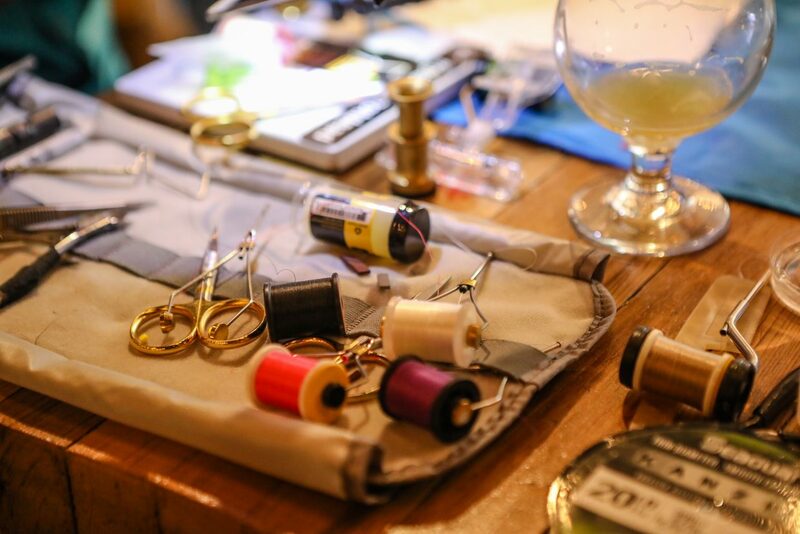 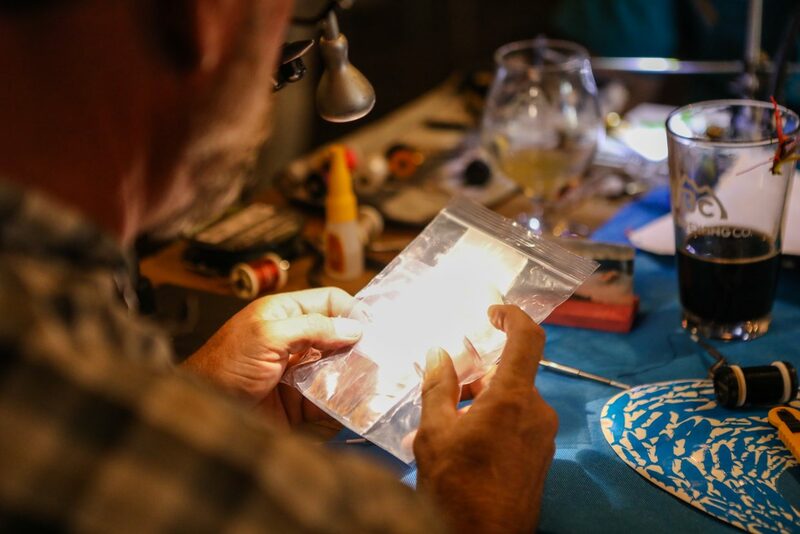 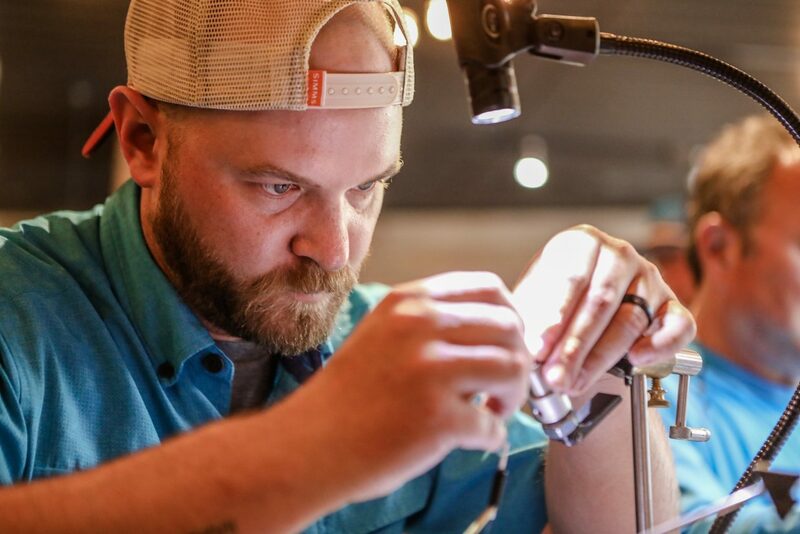 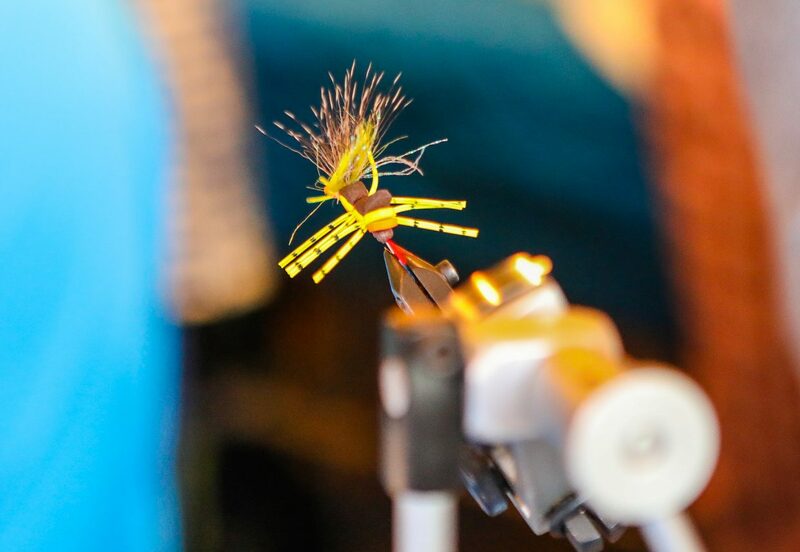 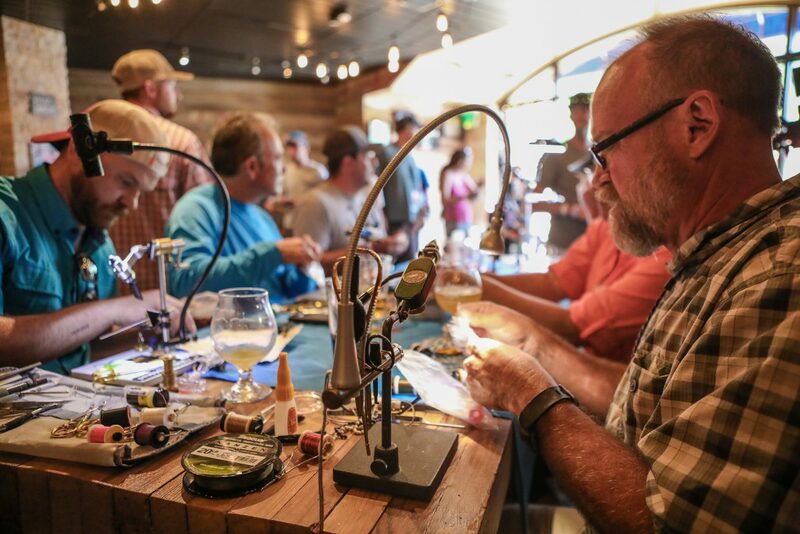 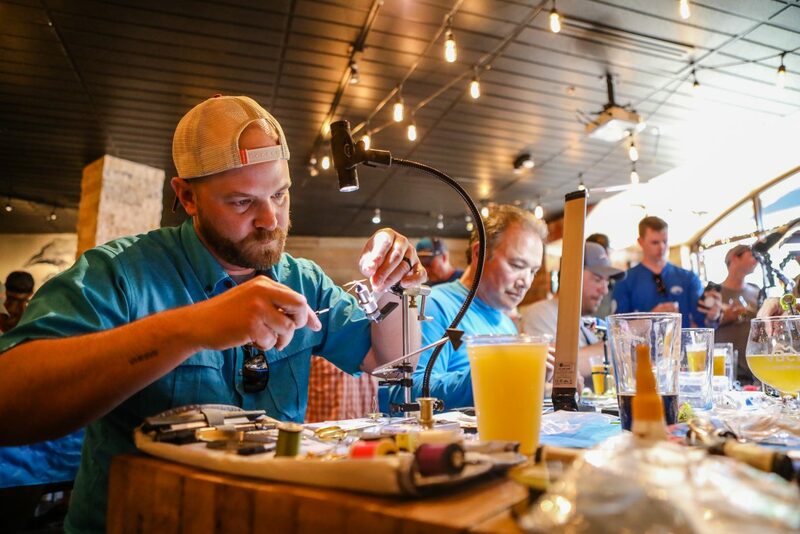 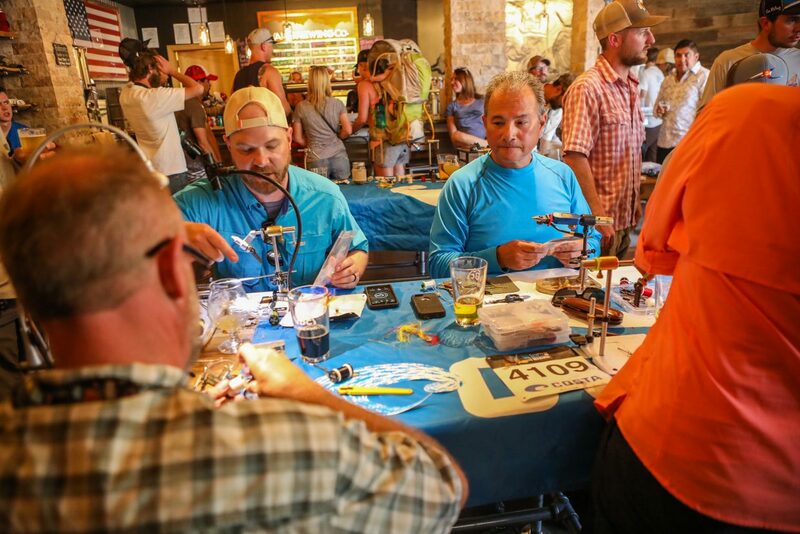 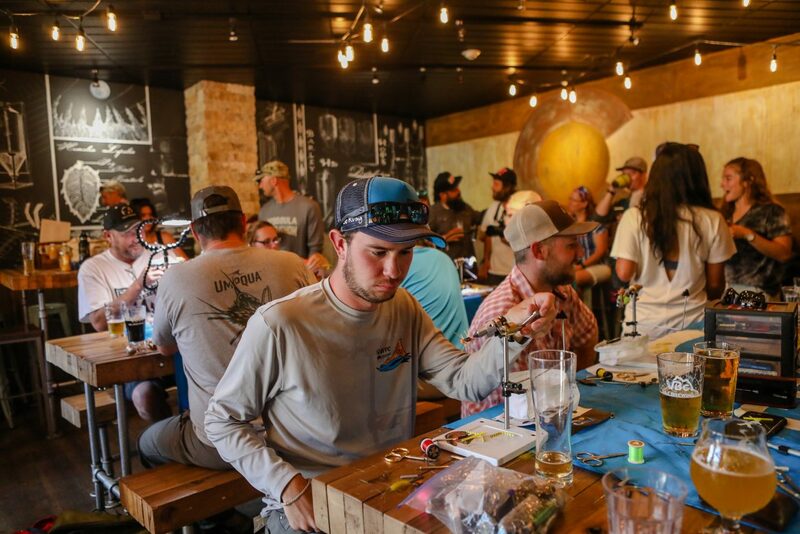 Ray Kyle of Eagle heavily concentrates on the second recond of fly tying during the Fly Tying Competition during the GoPro Mountain Games on Friday, June 8, at Vail Brewing Company tasting room in Vail. 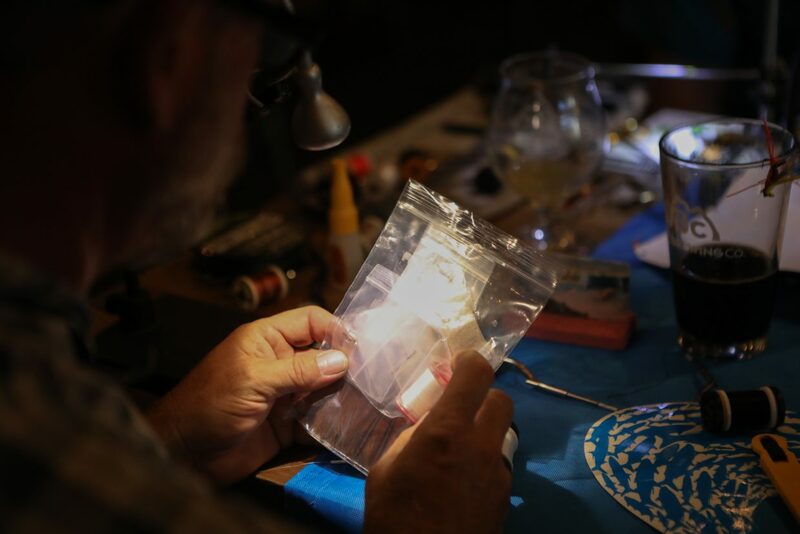 This is the first year for the event. 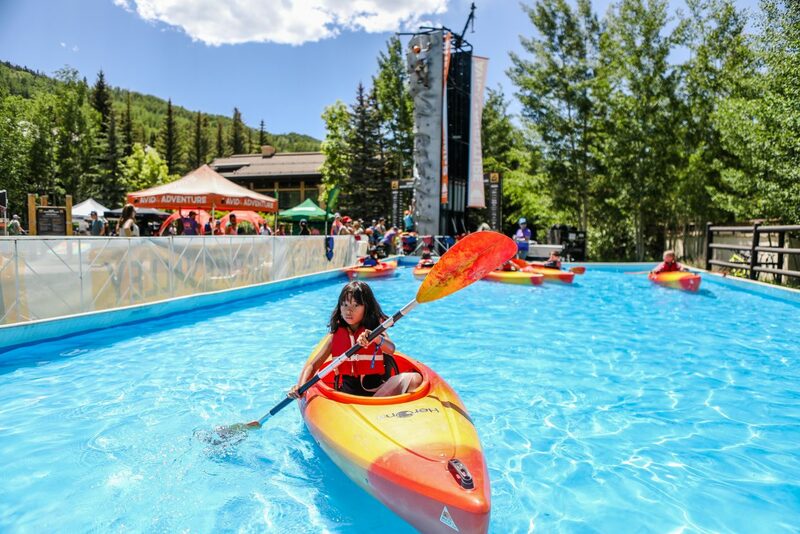 Lyla Newton, 6, of Singapore tries the kids kayak in the kids Adventure Village for the GoPro Mountain Games on Friday, June 8, in Vail. 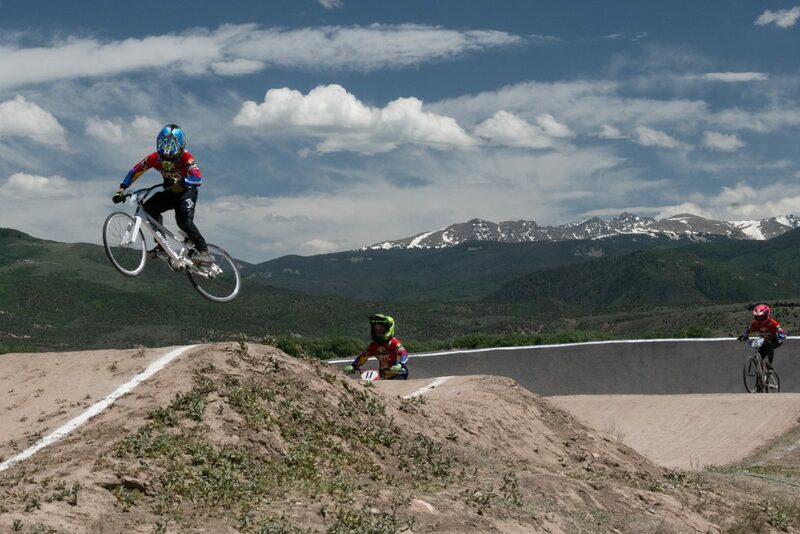 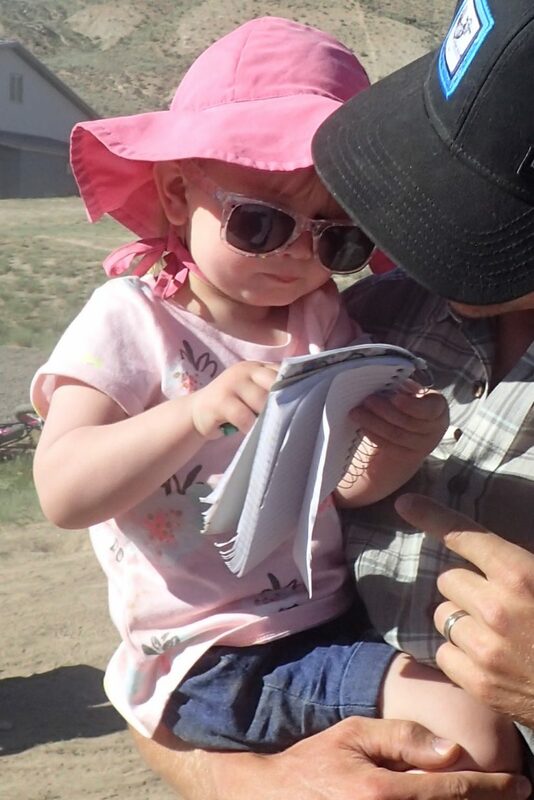 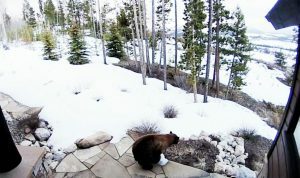 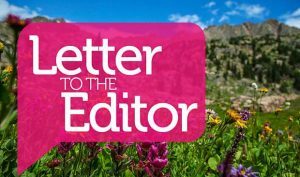 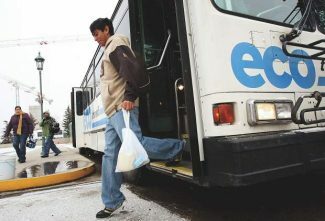 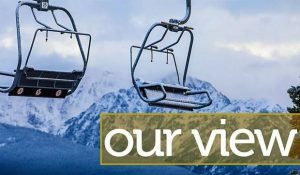 The kids activities moved to Golden Peak, and Dog Town moved to Lionshead. 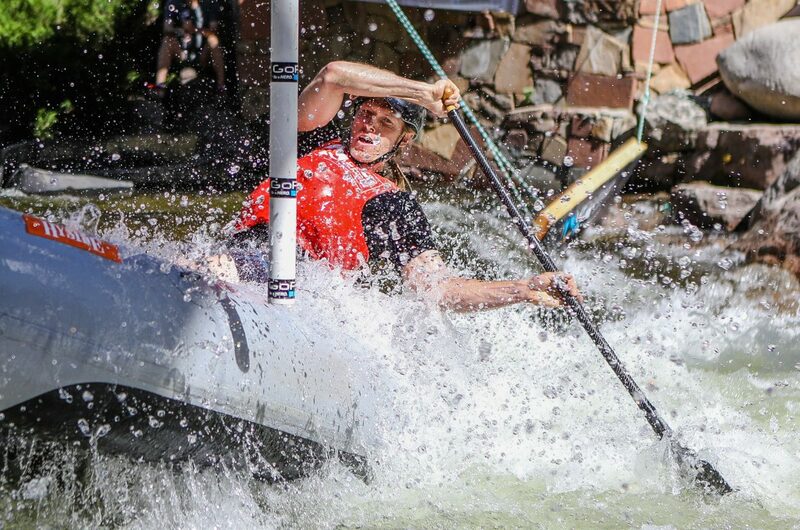 Rob Prechtl digs hard during the Raft Cross on Friday, June 8, in Vail. 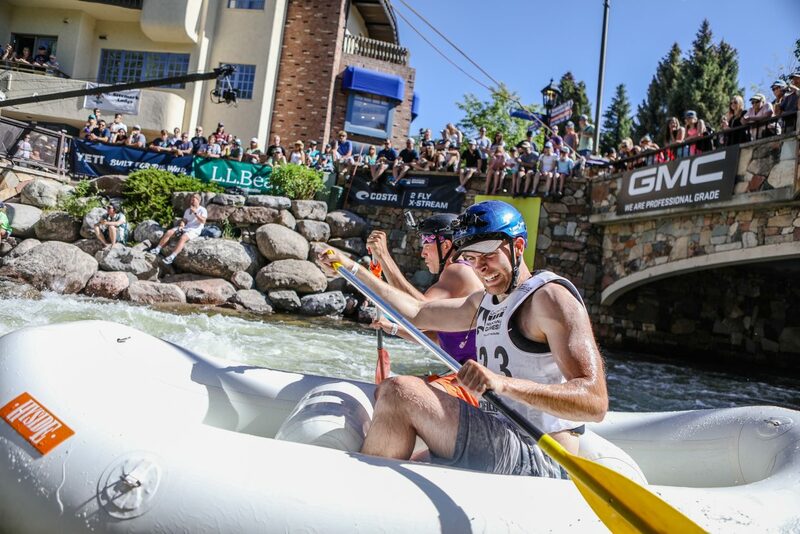 Rafters make their way around the final gate during the Raft Cross during the GoPro Mountain Games on Friday, June 8, in Vail. 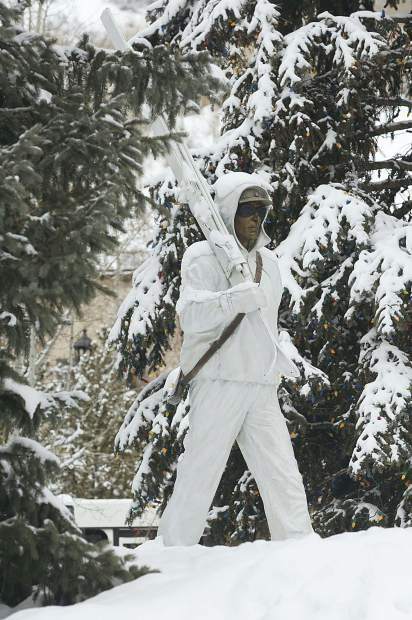 Costumes weren’t required, nor did they help, but sure added to crowd-pleasing. 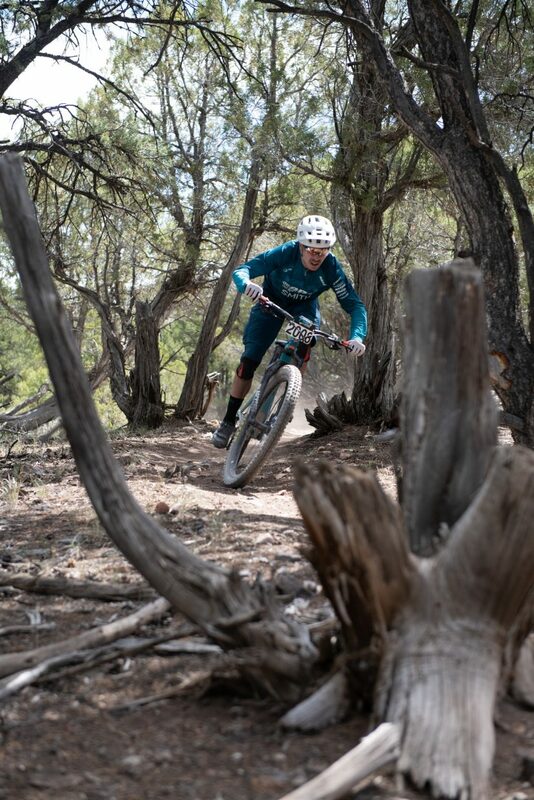 Nate Hills charges through a flat section of the Enduro mountain bike race in Eagle on Friday. 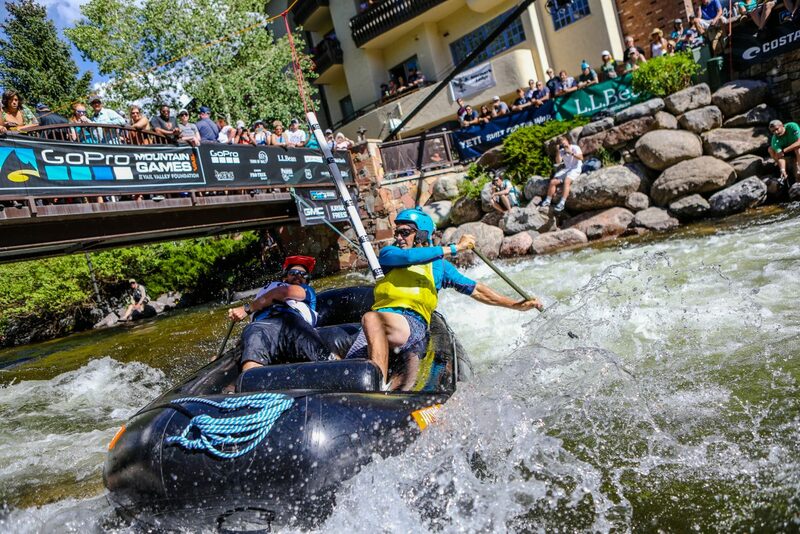 Hills clenched third place in the Men’s pro division.